Internet nostalgia... remember those spam emails that flourished a while back (I'm sure they're still around) where the sender pretended to be the son/nephew/cousin of some African despot who had $10/$20/$30 million bucks in - as a rule - oil money but needed someone in the west to fence the money? Bikes are the new oil. Bikes are hot. First it was the adult entertainment industry and now it's the scammer-rama crowd. The Federal Ministry of Youth & Sports Development,Nigeria,wants a capable supplier to handle the supply of 30,000(Thirty-thousand) units of Sport bike project. Payment is 100% Telegraphic Transfer upon contract signing in advance before delivery. Therefore if you are interested and capable of handling the contract ,contact us as soon as possible via email or telephone. We're gonna be rich! Rich I say! HAHAHA! I'm going to Disneyland! 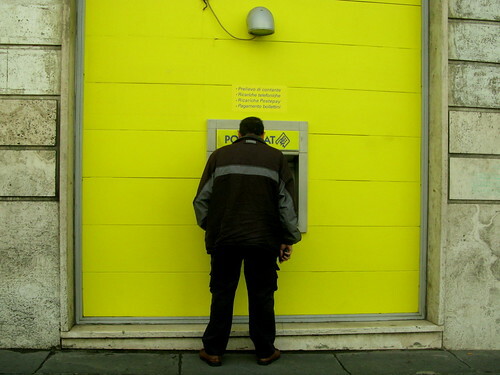 It's easier than withdrawing money from an ATM!